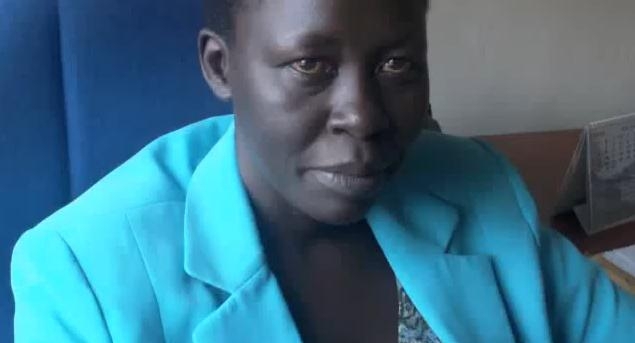 Acting FDC president ALice Alaso presided over Najjanankumbi meeting which postponed internal election. The looming Local Council elections in November has forced the Forum for Democratic Change Uganda’s leading opposition political party to push its presidential polls for another week. The party had set November 17 to conduct its election for the top job in which incumbent Maj. Gen. (rtd) Mugisha Muntu is staring down four challengers. But now, it will be held on November 24. Postponement of the presidential election was announced today morning after a resolution passed during a meeting of FDC’s top decision-making organ at the party headquarters, Najjanankumbi. Acting president Alice Alaso chaired the National Executive Committee meeting where members agreed to postpone the presidential elections. “Some of our delegates are candidates, vying for LC positions. We decided to extend the party elections so that they are given time to concentrate and plan on how to win. While non-candidates are overseers in the LC elections,” Walid Mulindwa, the chairman FDC national youth, told PML Daily, immediately after the meeting. Mulindwa also explained that the LC elections are of special importance to FDC as a political party given their strategic objective of capturing control of all the villages in the country. “We want each village leadership in this country to be led by FDC members. This is why as a party we take the LC polls seriously,” he said. Local government elections were last held in 2001. In 2006, the government attempted to organise polls again but it was stopped in its tracks by court after FDC petitioned, challenging the individual merit system under which government was organising yet the country had reverted to a multiparty system. After several failures to meet dates promised by the government, considerable public pressure eased off the Electoral Commission when it finally announced that it would hold the polls on November 21. Some sections of the public were saying the high crime rates and growing insecurity in the country was due to absence of LC system with those operating these offices doing so illegally, and without sufficient authority, since their terms expired long time. Campaigns for LC candidates will start on November 17, the date FDC had set for its presidential poll. The EC programme also indicates that nominations for LC 1and 2 candidates are scheduled for November 15 to 16. Only registered voters will elect the officials by lining up behind candidates of their choice. The electoral exercise will be conducted within 30 minutes. Thereafter, the chairpersons will appoint their committees to be approved by the locals. Constitutional lawyers like Yusuf Nsibambi, however, have challenged lining behind voting system, arguing that the Constitution provides for only secret ballot voting system. “And if Electoral Commission goes ahead to organise the LC elections, it shall be challenged in courts,” he said.